KUALA LUMPUR, July 23 (Bernama) — In line with its purpose of empowering people to live a better life, AXA Affin General Insurance Berhad (AAGI) strengthens its payer-to-partner positioning in the health segment by encouraging Malaysians to laugh and live healthier in its #LaughForHealth campaign. “As the no.1 general insurer in Medical and Health, we understand the importance of upholding the trust that customers have placed on us as their health partner. They want a partner that cares, not one that simply pays their claims. Which is why we at AXA are committed to be there for our customers by playing an active role in their well-being,” said Emmanuel Nivet, Chief Executive Officer of AAGI. As part of its ongoing initiatives to inspire Malaysians to live a healthier and better life, AAGI launches an engaging campaign under the theme #LaughForHealth. It was curated based on the insights and proven notion that laughter is important and beneficial to our overall physical and emotional well-being. The campaign will run for 17 weeks in collaboration with well-known local stand-up comedian Dr. Jason Leong. “All of us know how to laugh, in fact we laugh before we learn to speak. But people are often too caught up in the moment to laugh. At AXA, we want to advocate on the benefits of laughter and how they can benefit our overall health. We are more than just an insurance company, we wish to reach out to all Malaysians to join us and #LaughForHealth!” said Rebecca Tan, Chief Marketing Officer and Bancassurance of AAGI. 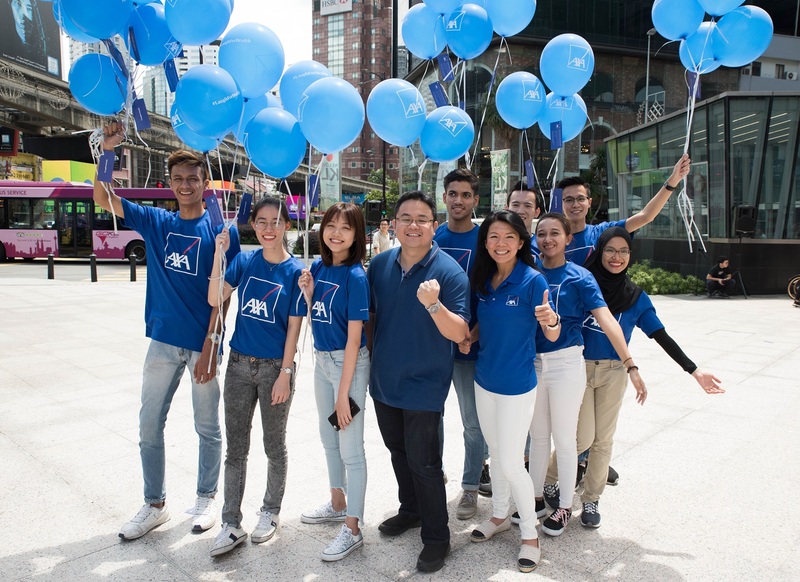 The campaign activated with Dr. Jason Leong leading “AXA Laughter Squad” on a mission to enlighten Malaysians with infectious laughter at the heart of Kuala Lumpur. The surprise and delightful laughter squad aimed to build engaging relationships with Malaysians and raise awareness on the benefits of laughter towards health and wellness. The reactions of Malaysians during the activation were captured in a video and broadcasted on social media platforms (YouTube and Facebook) together with three other videos on the benefits of laughter. The campaign will run until October 2018 across different platforms such as radio, RAPID KL buses and digital. Building on the momentum of the campaign, AAGI brings Malaysians from all walks of life to join a charitable cause, in partnership with a non-profit organisation (“NGO”) dedicated to educate the public on heart and circulatory diseases. AAGI will contribute RM1 with every “Haha Emoji” clicks received on the #LaughForHealth activation video to the NGO. A total up to RM 40,000 contribution is targeted to be channeled to the NGO.